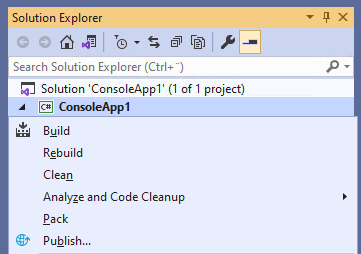 Notify your team in Slack or HipChat when you Deploy a Web Project Using One-Click Publish from Visual Studio. To enable Slack notifications you have to add a custom integration and choose Incoming WebHooks. Then choose a Channel where you would like to see notifications and click Add Incoming WebHooks integration. 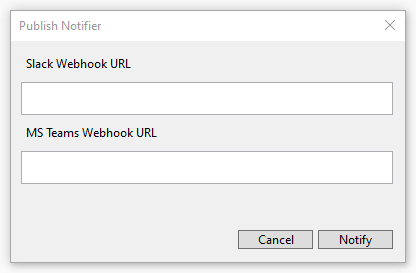 Copy the Webhook URL to the Publish Notifer dialog that shows up after you Publish an application. To enable HipChat notifications you have to add an integration and select a room where you would like to see notifications. Create a new integration with a name PublishNotifier, and copy the URL for posting messages to the Publish Notifer dialog that shows up after you Publish an application.